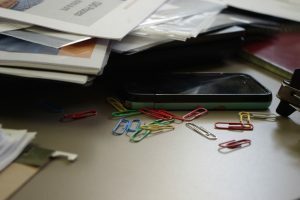 Often, the first time an office’s cleaning service is scheduled, the owner panics, wondering if they need to pre-clean or de-clutter before the cleaning crew arrives. If this happens to you, you are not alone. A number of people get anxious about having outsiders come into their space and see that it needs to be cleaned. Professional cleaners have seen it all, and understand. When you contract with a professional janitorial office cleaning service and get a good reviewed and proofed maid service, communicating your feelings helps eliminate the stress you may have about what the crew will see and what they will have to do. Remember, the cleaning service is there to clean. There is no need to pre-clean a space to make it appear “not as dirty.” Don’t spend time washing down the common areas in the break room or dusting shelves. At Beyond the Limits Cleaning, one thing that makes us different from other office cleaning services companies is that we begin every client with an initial deep cleaning. This happens the weekend before your regular service begins. What is helpful to the cleaning crew is tidying up. Addressing and removing office clutter is important. Talk to us beforehand and let us know what should or shouldn’t be moved. For example, we will discuss piles of files or stacks of books you have on the floor. These items should be moved in order for us do a thorough cleaning. Will you be moving them? Or should we? Advise us on where items can be placed during the cleaning process so they do not get damaged or misplaced. Additionally, it is important that the cleaning crew know what should or shouldn’t be thrown out. If, for example, you have a large box of papers sitting next to the trash can, this may be mistaken for trash. If the papers are actually important and shouldn’t be touched, labeling the box with a message such as “not trash” is extremely helpful. We also like to know whether individual desks should or shouldn’t be cleaned. There are some clients who prefer we stick to cleaning only the common areas. Other clients request that we spend time tidying up messy desks. Just let us know. Dedication to our clients and their needs is our priority. We give great attention to detail. Our janitorial office cleaning staff always creates a mandatory checklist for every office we service. This list is checked and verified daily to make sure every service and special request and performed. We offer a wide variety of cleaning services, but you let us know what you needs are. We can do interior window washing, machine floor tile scrubbing, blinds cleaning, and spot carpet cleaning. As needed, those services are reviewed and adjusted over time as changes to the facility dictate. We don’t ever want our clients to stress about the cleanliness of the office. Let us understand the tasks you need performed and our professional staff will work to deliver the clean space you desire. If you have questions, call Beyond the Limits Cleaning at 847-444-0308 and simply explain how you feel. If you choose to work with us, we will decide together how to handle everything necessary to get you feeling great about your office.